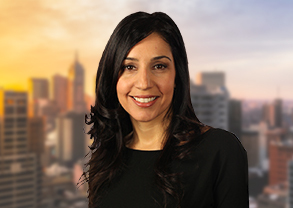 Uniondale, NY, October 18, 2018 — Partner Andrea Tsoukalas Curto of Forchelli Deegan Terrana LLP has been selected by the Long Island Business News for the Long Island’s Top 50 Women Class of 2018. The award recognizes women professionals for their business acumen, mentoring, and community involvement. Winners are selected by a judging committee that represents the most influential women in business, government, and the not-for-profit fields. Andrea Tsoukalas Curto is a well-known and respected land use and zoning attorney and Co-Chair of the Renewable Energy practice group. Ms. Tsoukalas Curto concentrates her practice in zoning, land use, environmental, and municipal law matters. She represents a wide variety of clients in the development of commercial and residential properties. Her practice is unique as she represents both applicants and municipalities. Counseling zoning boards, which includes drafting decisions on their behalf, gives her an invaluable perspective when representing applicants such as what a board is looking for, the importance of a municipality’s comprehensive plan, and how community support can affect the outcome of an application. Tsoukalas Curto was recognized by the Long Island Business News with its 40 Under 40 award. She was listed by the same publication as a ‘Who’s Who in Women in Professional Services.’ The Queens Courier presented her with its “Top Women in Business Award,” and was also honored with the “Long Island Power Women Award,” by The Long Island Press. Most recently, she was named Executive of the Month by the New York Real Estate Journal.